The food truck industry is booming and is predicted to continue to grow in the coming years according to several recent studies. With affordable options, a diverse selection and local curiosities, food truck parks appeal to everyone from families to business people to college students, and their reach only appears to be expanding. While the restaurant industry has steadily climbed at a yearly growth of roughly 2 percent in recent years, the food truck sector has skyrocketed, growing at an annual 7.9 percent over the past five years. With at least 4,000 trucks employing 14,000 workers throughout the U.S., food trucks are one of the fastest growing segments in the food industry. Everyone from commuters to Sunday brunchers to families, locals and tourists flock to these establishments in cities like Portland, which holds the title for most food trucks per capita, boasting an estimated 500 total trucks. Runners-up include Austin, Seattle and San Francisco. Although coastal cities and college towns currently attract the most trucks, market researchers predict food truck demand to start expanding further into the suburbs in the coming years, so there should be plenty of hungry patrons to go around. Sources conflict over the size of the industry, but it averages around $2 billion for 2017. With comparatively low initial capital and yearly overhead, as startups, food trucks have an industry advantage. According to a data set compiled by research website Statistic Brain, the average startup cost for a food truck is just under $100,000, with the vast majority going to the truck, equipment and inventory. Later, costs like maintenance, repair, insurance and fuel become a higher priority. Studies have shown that customers spend slightly more at trucks than they do at fast casual restaurants, which are often considered to be their brick-and-mortar counterparts. According to one study, $10 on lunch and $15 on dinner is the average bill. Of course, no small business venture is without its challenges. Whether a truck is mobile or primarily stationary, success or failure often depends on location. Although events, venues and malls offer parking opportunities, studies show that food trucks still find most of their customers on street corners and in neighborhoods. Food truck parks attract droves of indecisive customers looking for a diverse selection, but parking yourself right next to your competitor can be risky. Add to that the laws and regulations some cities uphold, lobbied by the well-established restaurant industry seeking protection. 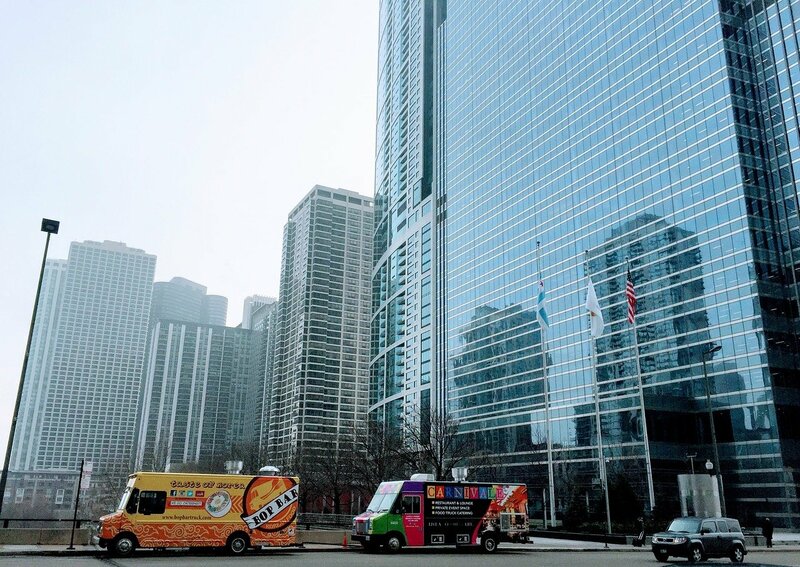 In Chicago, food trucks are not allowed to park within a certain range of restaurants, and they must change location every two hours. This, despite evidence suggesting that restaurants actually benefit from the increased presence of food trucks, perhaps because they encourage a cultural habit of eating out, which is good for the prepared food industry in general. Inclement weather also causes dips in sales for food trucks, especially in cities with harsh winters. They also face the threat of established fast food and fast casual restaurant chains releasing their own trucks, enticing customers with familiar products and therefore lower risk. RELATED: What Do You Want Your Legacy To Be, Food Truck Owners? Despite the recent influx in new trucks, demand continues to steadily rise, making room for more and more aspiring street food purveyors. Food trucks with a unique local style, healthful alternatives and relative affordability perform best. To a generation that grew up with the mall food court, but is committed to local, sustainable, healthy alternatives, the food truck park is the perfect destination.